Step into the massive greenhouse at Lettuce Work Farms and you’re faced with leafy green plants as far as the eye can see. They range from tiny lettuce sprouts popping up in recently planted plugs to healthy greens being harvested and packaged in clear plastic containers, destined for local grocery store shelves. A small group of workers clad in white sanitary clothing are prepping the produce — and they all have autism. The farm’s 16,000-square-foot greenhouse grows leafy salad greens year-round and produces about 300 pounds of lettuce each week. The lettuce is grown hydroponically, a process that allows them to grow a lot with a small footprint, explains Sharp. “Participants do everything, including seeding, transplanting, harvesting, packaging, cleanup, labeling and packing in boxes for distribution,” he says. “They have tasks to do every day, and it’s a good fit. Many people with autism do well with repetitive and predictable tasks — the routine nature of the work is beneficial.” Visual aids are posted throughout the greenhouse that detail step-by-step tasks for various activities. 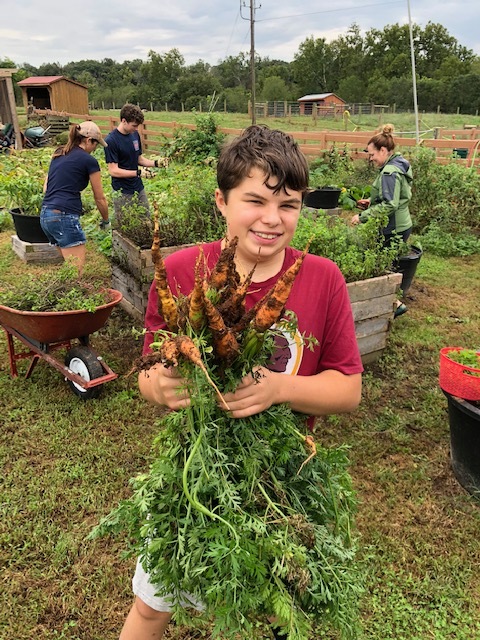 Legacy Farms in Virginia is a nonprofit that concentrates on hands-on garden-based training, job skills and work placement for young people and adults with autism, according to executive director Laurie Young. 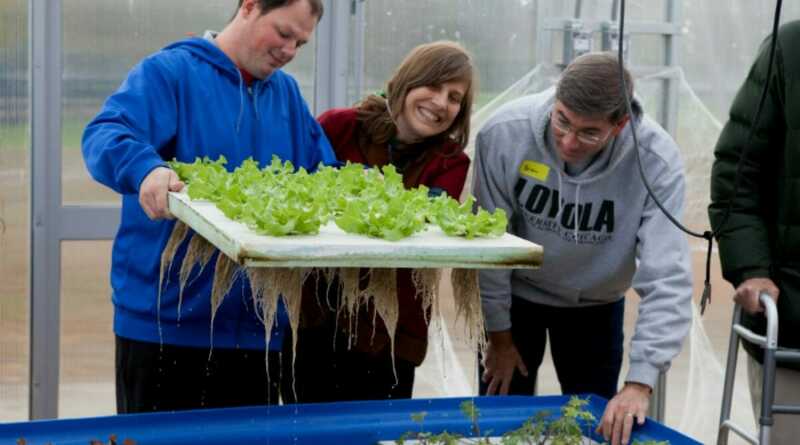 The farm lets participants explore opportunities to advance their education, life skills, health and well-being. In northwest Ohio, Bittersweet Farms was founded in 1983 because no appropriate services existed for adults with autism, according to executive director Dustin Watkins. Modeled after a program in England, the farm exists to have a positive impact on the lives of individuals with autism and provide vocational training and jobs. “The largest component is based on agriculture,” says Watkins. “We do a large community-supported agriculture [CSA] program, where many participants are employed and paid.” The CSA is the primary way that produce is distributed, putting tomatoes, potatoes, onions, peppers, cucumbers, leafy greens and melons into the hands of hungry local consumers. Farming provides a “terrific skill match” for those with autism, says Jan Pilarski, who, along with her son, founded Green Bridge Growers in Mishawaka, Indiana. The five-acre farm has two commercial greenhouses: One of them grows vegetables and edible flowers via the more traditional soil method; the other is an aquaponics greenhouse that grows crops like kale, lettuce and Swiss chard in a unique setup that pairs a water-based growing system with separate tanks that house fish. The plants and fish work together but are housed separately to swap nutrients and clean water. As an educator of children with Autism and other physical and communication needs, this is incredible to know. There are those out there that want to treat them as people. Realize they are not meant to be separate or can’t contribute. There is so much value in who they are and how they are able to accomplish tasks. Best wishes to you. I am trying to find meaningful options for my non-verbal son with autism. He just turned 18 and has a lot of promise. Thank you for this article as it was helpful in my search.